I imagine that when I’m old and wrinkly I will be telling my grandchildren about this ancient old machine that we called a “fax.” It sounded like awful electronic music lacking rhythm when it was working, and when it wasn’t… sheesh! When I get to the part about “paper” I’m sure I’ll be met with blank stares and open mouths. Well, thank goodness we’ve reached the point where we no longer have to rely on fax machines, paper, and ink to send and receive faxes. It can all be done online. Gone are the days of injuring yourself because you punched that old machine when it wasn’t working. You also no longer need to fret about wasting paper, ink, electricity, and time! 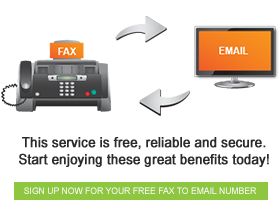 With FaxFX, you simply have to sign up and you are on your way to online faxing. We give you a fax number which you will use for all of your online faxing. Something else that is great about online faxing is the fact that you can access your faxes from anywhere in the world, provided you have access to the internet. How convenient? The online fax revolution does not only benefit you, it benefits the environment. Our services do not make use of fax machines or paper. We use the internet, perhaps the world’s greatest resource. Your fax number is yours alone, and any faxes that you send are confidential. We also indefinitely store all faxes, so when your brain fails you rest assured that we have your faxes protected.